Classys Norfleet is the sire of Ollie Norfleet. 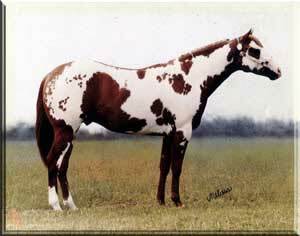 He was a 1981 Sorrel Overo Stallion sired by Mr. Norfleet and out of Classys Dancer. Classys Norfleet was raised by Stan and June Dunwiddie of Prior Lake Minnesota. Mr. Norfleet was an APHA Champion, an APHA National Champion in Halter and Western Pleasure.... the same year!! Classy was out of Mr. Norfleet's first foal crop.... along with Eternal Norfleet... also raised by Stan and June Dunwiddie. His dam, Classys Dancer was an appendix quarter horse by AQHA Champion Classy Charge and out of Totentanz, a throughbred.